The Frog Prince . . .
John Giller's production of 'The Frog Prince' played at the Hunstanton Town Hall, Norfolk. This production ran for 6 successful shows just after Christmas 2013 with over 1200 people coming to see us. Read some of the comments below. 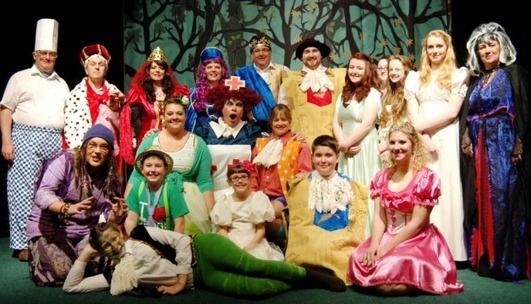 The amateur group performed to around 1,200 people across the six shows of its previous pantomime and is hoping to keep up that level of success with The Frog Prince. The 28-strong cast, which includes three generations of Mr Bishopp’s family, is made up of people from in and around Hunstanton. Joining Mr Bishopp on stage will be his daughter Liz Bishopp, 25, and granddaughter Elise Navarro, aged eight. The pantomime is written and directed by John Giller, of West Norfolk based John Giller Dancing and Theatre Academy. Mr Giller also stars as Nurse Kitty Litter. Other stars include Smithdon high School pupils Chloe Huggett, 15, as the frog prince and Emilie Darby, 17, as Princess Sybille. The panto is on at Hunstanton Town Hall from Friday, December 27 to Monday, December 30. Evening performances on Friday, Saturday and Sunday begin at 7.30pm. Matinees at 2.30pm every day except Friday. Christmas is coming to Hunstanton as final rehearsals take place for the pantomime while the town also prepares for the big lights switch-on. It all gets under way this Sunday, December 1, as the town hall hosts festive entertainment as well as an outdoor craft fair, while there will also be a variety of entertainment outside the Princess Theatre and Golden Lion Hotel. Santa’s grotto will be open at the Princess Theatre and there will also be a charity tug-of-war at 3pm. Events on the theatre stage start at 4pm and the lights will be switched on at 5pm. 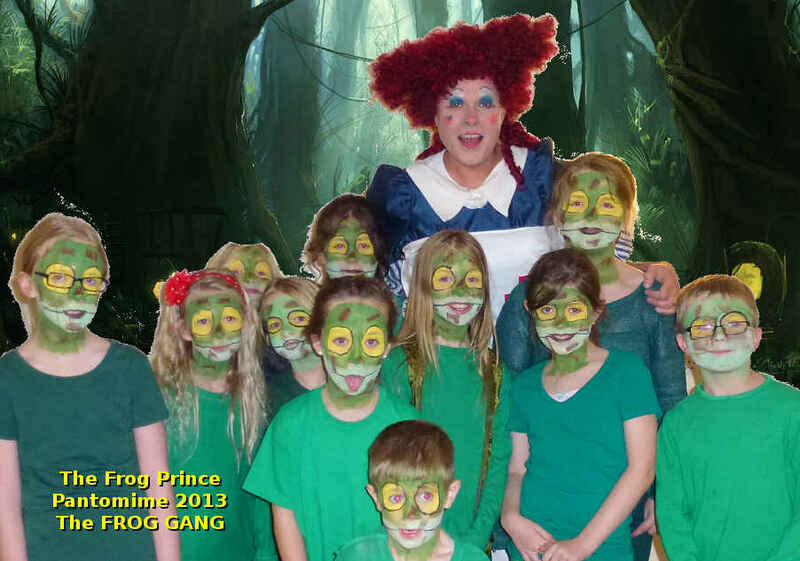 Hunstanton Festival Players theatre group will be returning to the stage with their latest production, The Frog Prince. The amateur group will be performing the fairy tale, written by Paul Meyerheim in 1889, across six shows at the town hall in December. The pantomime has been written and directed by drama teacher John Giller, who is returning as Dame Kitty Litter. Tony Bishopp, who will be playing one of the Kings, said: “The panto will be fun for all the family with lots of jokes and songs for everyone. “This is the only traditional pantomime in Hunstanton and we’re hoping for a good turnout. Last year we had 1,200 people attend across the six shows and it would be great to get similar numbers this year. “Although we are an amateur production we take it very seriously. It has all been written and directed by John Giller and we’ve been rehearsing since September,” said Mr Bishopp. The first performance will be at the town hall on December 27 at 7.30pm. On December 28 and 29 the group will take to the stage for a matinée at 2.30pm and again at 7.30pm. The last performance will be at 2:30pm on December 30.